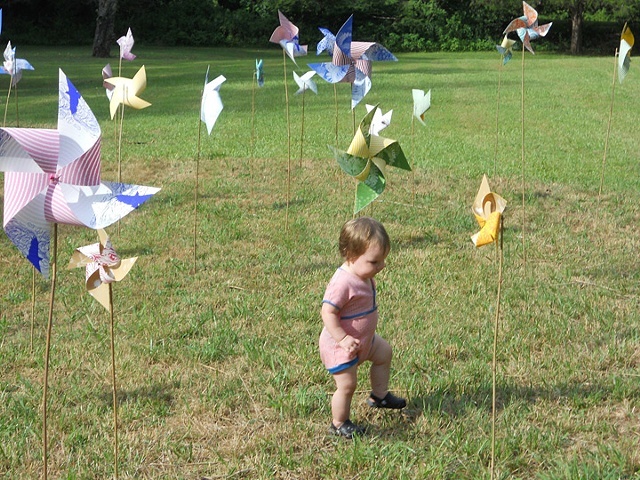 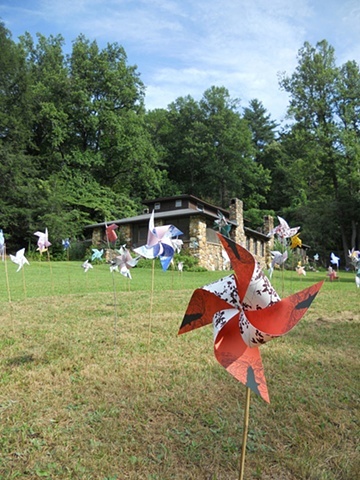 Stephanie Smith and Terri Dilling of the Atlanta Printmakers Studio created a Print-Spin installation of screenprinted pinwheels displayed at Hambidge Center in Rabun Gap, GA during the summer of 2010. 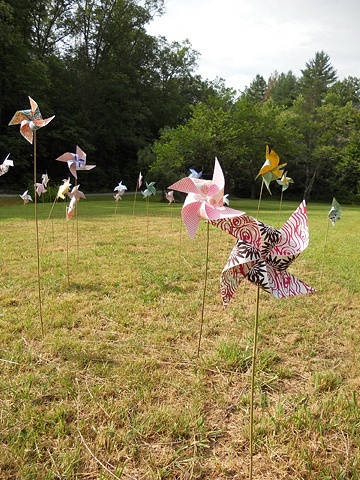 Imagery on the pinwheels was inspired from from the artists own work and from photos taken at Hambidge. 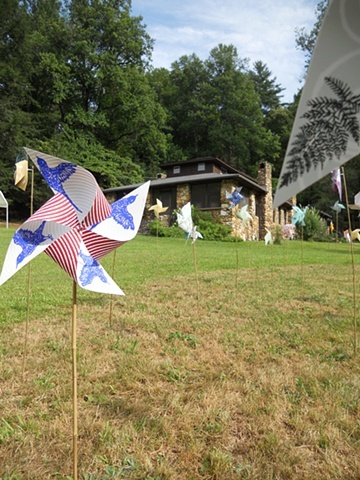 The Print-Spin project was conceived by Carol Pulin of the American Print Alliance as a print and paper project that takes a light-hearted look at wind energy, engaging the public by showcasing printmaking techniques and three-dimensional design.